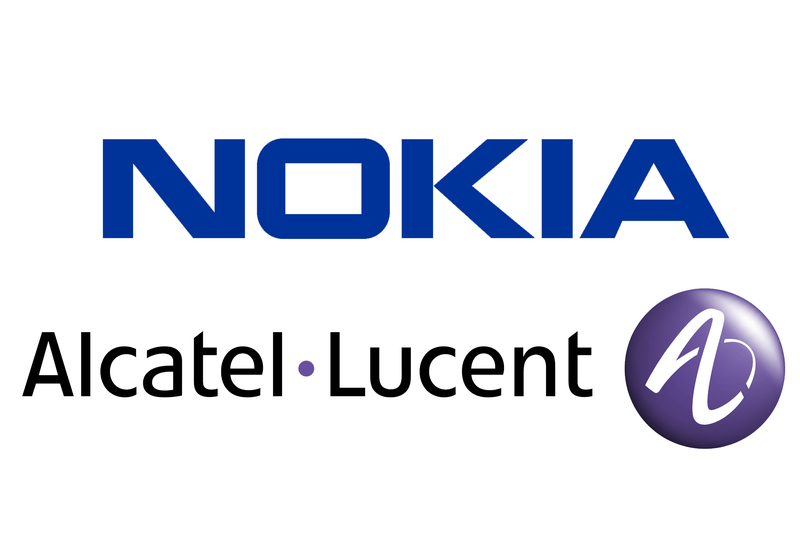 The announcement yesterday that Nokia would acquire Alcatel-Lucent for €15.6 billion in an all-stock deal wasn't a shock to the industry. Today's leak culture meant that the companies' press releases and public handshakes were a formality. But the rumours were only partly to blame for the spoiler effect. The infrastructure market has undergone a decades-long era of consolidation as equipment suppliers look to build scale for increasing research and development investments and patent collections. As each new generation of wireless technologies enters its gestation period, the number of infrastructure companies supporting the development of standards seems to shrink. The rule of three has kicked in, perhaps just slightly ahead of schedule. The top-three infrastructure players — Ericsson, Huawei and Nokia — are looking to fill portfolio gaps as they begin work toward 5G. Nokia's present form is the result of a long line of merger-like moves and lower-key acquisitions. The Motorola Solutions Infrastructure unit, Siemens Communications and parts of Panasonic have been folded into Nokia Networks. The full list is long and goes back to makers of digital subscriber line access multiplexer, head-end and Internet Protocol television equipment. There's an intercontinental angle to this story: Europe may have developed the first global de facto wireless standard, but European economies aren't enjoying many of the dividends from the smartphone surge. CCS Insight has noted several times (see Daily Insight: The European Mobile Crisis Deepens) that Ericsson, Nokia and Siemens, among others, topped the charts with locally and globally best-selling phones at the turn of the century. But Europe's handset dominance was lost in less than a decade: today there aren't any major European brands and all dominant mobile platforms are based in the US, meaning two of the three main wireless ingredients are out of European control. Losing large chunks of a trillion-dollar business has been tough on many economies. Nokia's consolidation with Alcatel-Lucent (itself a company with a distinguished telecom pedigree) will prevent further wireless erosion in Europe — for now, the wireless infrastructure market is still dominated by European companies. Ericsson's revenue was about €35 billion in 2014, Nokia Networks had sales of €11.2 billion and Alcatel-Lucent reported about €13.2 billion across its business lines. These figures include the network services, an increasingly important segment for equipment suppliers. European manufacturers have more than two-thirds of the global market for wireless infrastructure. Network plumbing doesn't have the headline-grabbing appeal of handheld and wearable gadgets, but it's an important technology point. The demand for wireless bits and bytes continues to grow as content gets richer and as even the most mundane things are getting connected. The combined entity of Nokia and Alcatel-Lucent will have a broad global presence with more clients and contracts on all continents, providing a boost for Nokia in China and the US. The wider portfolio should help to make deals as many markets continue to establish or build out 4G networks. Nokia has now leapfrogged Huawei to become the global number-two infrastructure supplier behind Sweden's Ericsson, but big mergers are complex. The intricacies of mixing international corporations have led to a mixed track record of success, and bringing politics into the arrangement makes matters more uncertain. The new company would have about 100,000 employees, and this could cause months of discussions — and distractions — about personnel roles. The firms will have to complete the dirty work as quickly as possible. There's no doubt that Europe continues to have its software, services and handset innovators. The summary of smartphones moving East and software platforms moving West is an oversimplification, but isn't too far from describing the situation. Fortunately for Europe, the companies that design the network guts remain in the middle.